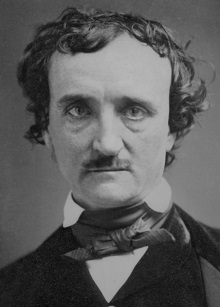 Although Edgar Allan Poe is best remembered for his short tales of the macabre, he was also an editor, literary critic, and poet. Poe was born in Boston in 1809. His father abandoned him and his mother the following year. When his mother died in 1811, Poe went to live in Richmond, Virginia with John and Frances Allan. He stayed with them until he reached early adulthood, but the couple never legally adopted him. Much of Poe’s work was inspired by the traumatic events he experienced during his life. His dark tales completely transformed the genre of the horror story and his work continues to be an inspiration for many writers. However, Poe was also an early pioneer of the science fiction genre and is credited with being the inventor of the modern detective story. Poe died under mysterious circumstances in 1849. The Cask of Amontillado was first published in Godey’s Lady’s Book, in November 1846. It is a rather nasty story about a man who feels that his friend has insulted him. To get his revenge he lures his friend into the catacombs, chains him to a wall, and bricks him up alive. The thousand injuries of Fortunato I had borne as I best could, but when he ventured upon insult I vowed revenge. You, who so well know the nature of my soul, will not suppose, however, that gave utterance to a threat. At length I would be avenged; this was a point definitely, settled — but the very definitiveness with which it was resolved precluded the idea of risk. I must not only punish but punish with impunity. A wrong is unredressed when retribution overtakes its redresser. It is equally unredressed when the avenger fails to make himself felt as such to him who has done the wrong. He had a weak point — this Fortunato — although in other regards he was a man to be respected and even feared. He prided himself on his connoisseurship in wine. Few Italians have the true virtuoso spirit. For the most part their enthusiasm is adopted to suit the time and opportunity, to practise imposture upon the British and Austrian millionaires. In painting and gemmary, Fortunato, like his countrymen, was a quack, but in the matter of old wines he was sincere. In this respect I did not differ from him materially;— I was skilful in the Italian vintages myself, and bought largely whenever I could. “And yet some fools will have it that his taste is a match for your own. “Nitre?” he asked, at length. “True — true,” I replied; “and, indeed, I had no intention of alarming you unnecessarily — but you should use all proper caution. A draught of this Medoc will defend us from the damps. I looked at him in surprise. He repeated the movement — a grotesque one. “It is this,” I answered, producing from beneath the folds of my roquelaire a trowel. “Be it so,” I said, replacing the tool beneath the cloak and again offering him my arm. He leaned upon it heavily. We continued our route in search of the Amontillado. We passed through a range of low arches, descended, passed on, and descending again, arrived at a deep crypt, in which the foulness of the air caused our flambeaux rather to glow than flame. “He is an ignoramus,” interrupted my friend, as he stepped unsteadily forward, while I followed immediately at his heels. In niche, and finding an instant he had reached the extremity of the niche, and finding his progress arrested by the rock, stood stupidly bewildered. A moment more and I had fettered him to the granite. In its surface were two iron staples, distant from each other about two feet, horizontally. From one of these depended a short chain, from the other a padlock. Throwing the links about his waist, it was but the work of a few seconds to secure it. He was too much astounded to resist. Withdrawing the key I stepped back from the recess.